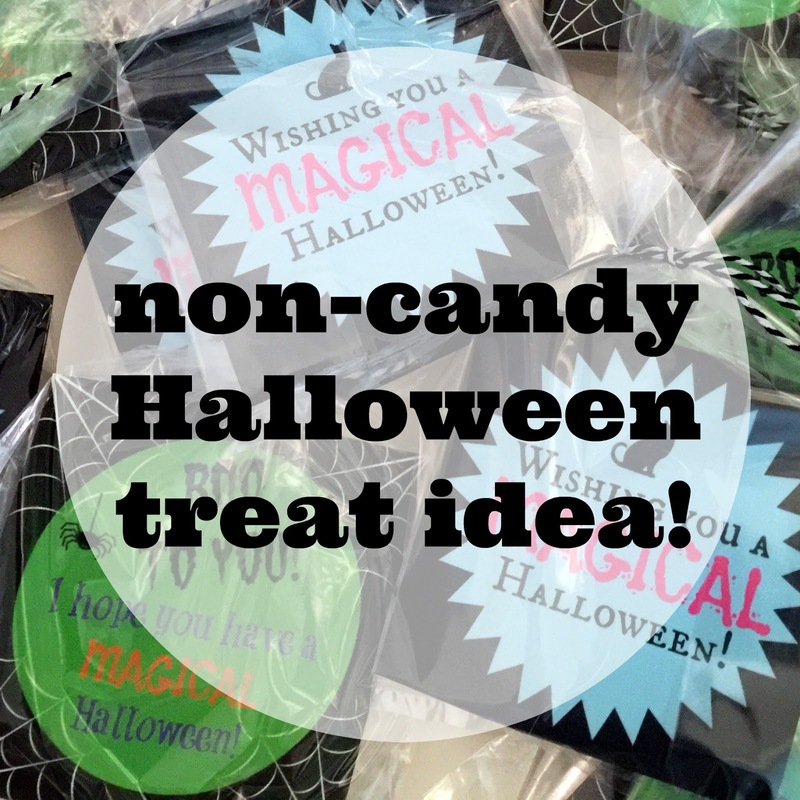 While I'm Waiting...: fun non-candy Halloween treat idea + a free printable! 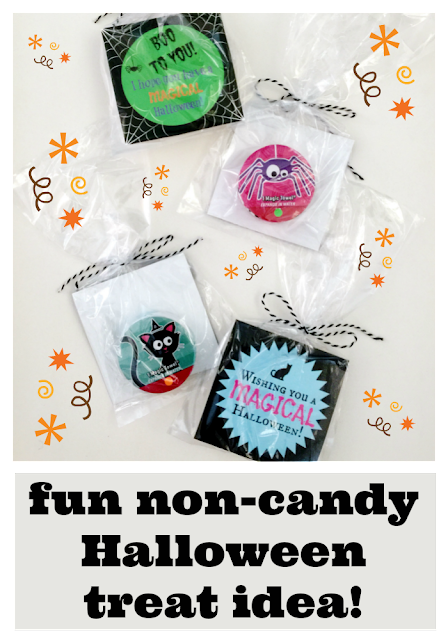 fun non-candy Halloween treat idea + a free printable! Are you looking for something easy to find, quick to make, & fun to give to your kiddos' friends, classmates, or playmates for Halloween? I've got something you're going to love! I love giving gifts! Know what I love even more than giving gifts?! Giving useful gifts! Now, don't get me wrong, I LOVE candy too but I've found when giving candy that I consume just as much as I give away! ;) It kind of works like BOGO except it's more along the lines of one for you, one for me... So, anytime I can find a non-candy Halloween treat option, I get really excited! Recently while shopping at Target (shocker, huh?! ), I found these precious "magic" washcloths in the Dollar Spot. I knew immediately these would be perfect for Hope to give her friends at school. (I'm also a fan of giving gifts we love too!) I came home with them and Hope instantly agreed they were purr-fect! Now to make them presentable and cute! Imagine on Halloween night...your kiddo is on a sugar high, it's late, but they still need a bath. These fun treats are the perfect bribe incentive to get them to jump in the tub and wash off all that Halloween sticky! Mom and kid approved! Wishing you a MAGICAL Halloween! This is such a cute idea. I am so impressed with your printable! I am trying to learn how to do this. I recently learned a little about Google drawing, but I haven't mastered the process yet. Do you have suggestions for better ways to go? Thanks, Helen! I would definitely recommend PicMonkey! Super easy and really fun to play with. There's lots of options our there but this is my go-to! Hope this helps! Thanks for stopping by! So stinkin' cute! Love it, and it's easy, win in my book! I'm definitely all about easy! Now I just have to wait till Hope gives them away! She's so excited! Thanks, Chelsea! I love it too and can't wait for Hope to give them to her friends! I LOVE this! I'm so glad you are back. Thanks for sharing. I'm loving being back! Thanks so much for your sweet words! Very clever and tooth friendly. Thanks! They were a hit!!! So cute! Non-candy items are a great idea! Thanks for linking up at Mama Shares Monday! Non-candy items are definitely a favorite over here! Thanks so much for hosting!